The 1967 Plymouth Valiant was lucky enough to share in the redesign of the Dodge Dart, and its square and functional shape would last for 10 years. Valiant V100s for 1967 were powered by the 170-cid, 155-hp slant-six engine, with the 180-hp, 273-cid V-8 optional. The high-line Signet sub-series offered the 145-hp, 225-cid slant-six as base engine. The 1967 wheelbase was two inches longer than the 1966 model, side-glass was curved, and the grille was divided vertically in the center. Three-speed manual transmissions were standard, with automatic and four-speeds optional, the latter with the V-8 only. Two- and four-door sedans completed the entire range of bodies, as no convertibles or wagons were offered this year. The Valiant was little changed for 1968, although the car lost its horizontal grille bar. A 318-cid, 230-hp V-8 was added as an option. For 1969, the Valiant got a new inset grille, new taillights, and a straight rear window. The Signet continued with additional brightwork. The 1970 model year saw a big shakeup in the Valiant lineup, which retained its four-door sedan but gained the Valiant Duster coupe. The hood and grille remained the same, but from the windshield back it was a compact sports coupe. The base engine was the 115-hp, 198-cid slant-six. Two Dusters were offered, the VL with optional 225-cid six-cylinder or the 230-hp, 318-cid V-8, and the Duster 340, with a 275-hp, 340-cid V-8. Helped by the mid-year “Gold Duster” package, the Duster VL sold a surprising 190,000 units, while the Valiant sedan rang up 50,000 sales and the Duster 340 25,000. Plymouth added the two-door hardtop Scamp to the 1971 Valiant line. The Duster no longer carried any Valiant badging, but it was still part of the model, all of which used the same front sheet metal. Valiant sales hit a record high in 1971, so the model was left largely unchanged for 1972. The advent of the gas crisis made the Valiant group even more important in 1973 and Duster sales hit 250,000. Due to bumper laws, the front sheet metal was redesigned attractively and the Duster got a fold-down rear seat. Model year production peaked at slightly fewer than 750,000 units. 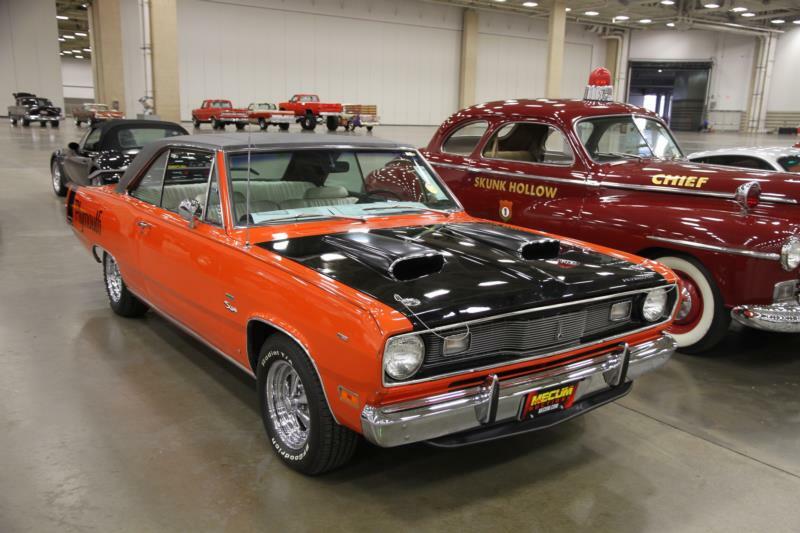 Plymouth’s third generation Valiant, including the Duster and the Scamp, and the car’s Dodge Dart relatives, remain very sound transportation, even though they’re getting to be 40 years old. Parts are no problem, and cars from rust-free zones will likely remain serviceable for several more generations to come—especially those equipped with the famed slant-six engine. Older cars tend to run better than later ones, and are therefore valued at a slightly higher price. The Duster 340 stands at the top of the pecking order for this group of cars, and documentation is important as many a low-horse Duster have been converted over the years.